The Swedish Solar Expo is annually organized by the Energy Agency in Mälardalen and STUNS Energy in cooperation Uppsala Municipality and the Solar Energy Association of Sweden. The fair took place for the first time in the autumn of 2014 and has developed into one of Sweden’s largest arenas for new environmental technology aimed at the energy and real estate industry. During the fair day the industry and other interested people can meet each other to build relationships, share experiences, connect with new contacts and do business. We gather Sweden’s leading companies in solar, energy storage and environmental technology and connect them with property owners and decision-makers from all over Sweden. The fair is growing in line with the industry. The goal is to show what’s the latest on the market, as well with inspiration to development. In addition to fantastic exhibitors, you also get a full-featured seminar program that includes, for example, exciting presentations about developing projects in solar, laws and regulations as well as political discussions and some other surprises. 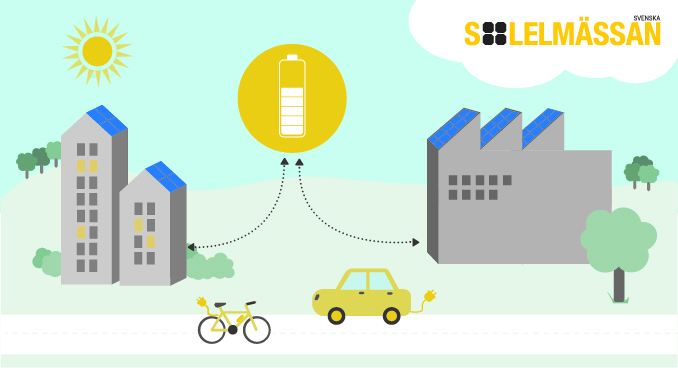 The Swedish Solar Expo is constantly developing with the vision of being the obvious meeting place for new products and services for the future energy system.